What are the advantages of online auction system? 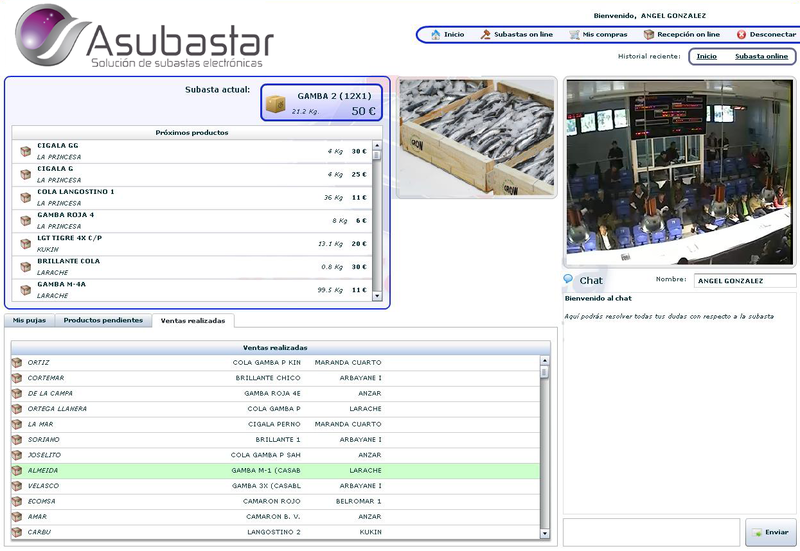 Asubastar is fully compatible with use in the cloud and mobile devices, allowing buyers to view products and perform online bids. It has a service of virtual presence for buyers in fishermen’s associations or fish markets where they can view products and where they may make bids online. It makes possible the interaction as if it were a buyer in the room. The advantages of this service are obvious, both for the buyer who doesn’t need to go to the salesroom, to the auction company, which can access to markets and customers without geographic limitation and maintaining your business model. Ave. Castilla y León, nº80. Burgos. Copyright © 2019 Asubastar. Powered by WordPress. Theme: Esteem by ThemeGrill.